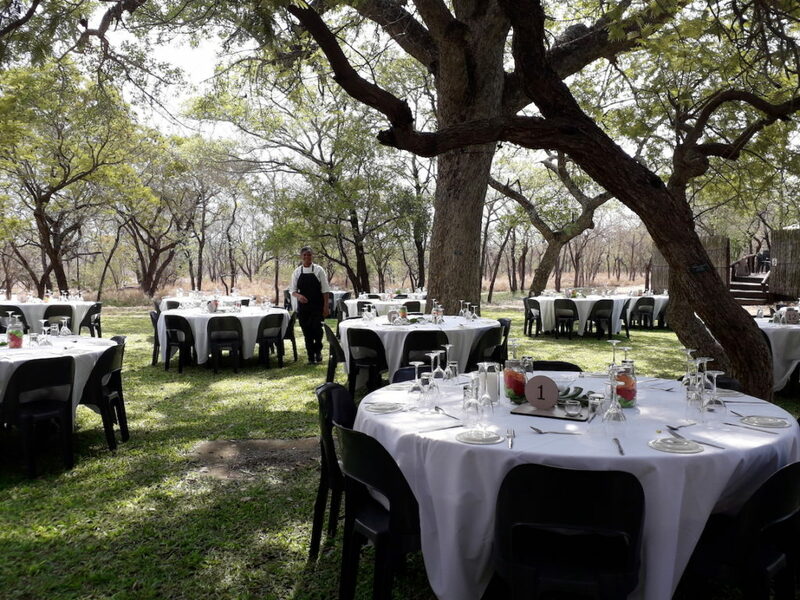 The Trust was thrilled to have a number of our donors join us in November for two extraordinary days at the College, to attend the “highlight event of the year”, the Natural Resource Management student dinner, followed by the graduation ceremony the next day. A sense of anticipation hung in the sweltering air as the College and its students prepared with excitement and pride, after a full year dedicated to great learning and achievement. A violent hailstorm and much needed downpour of rain in this drought-stricken region just an hour before the graduation ceremony only served to heighten the sense of anticipation. Heart-stirring conversations with the five enthusiastic and very grateful beneficiaries sponsored by the Trust in 2018, as well as with the three scholarship recipients excited to be announced for 2019, had us in awe of their passion and commitment to conservation. 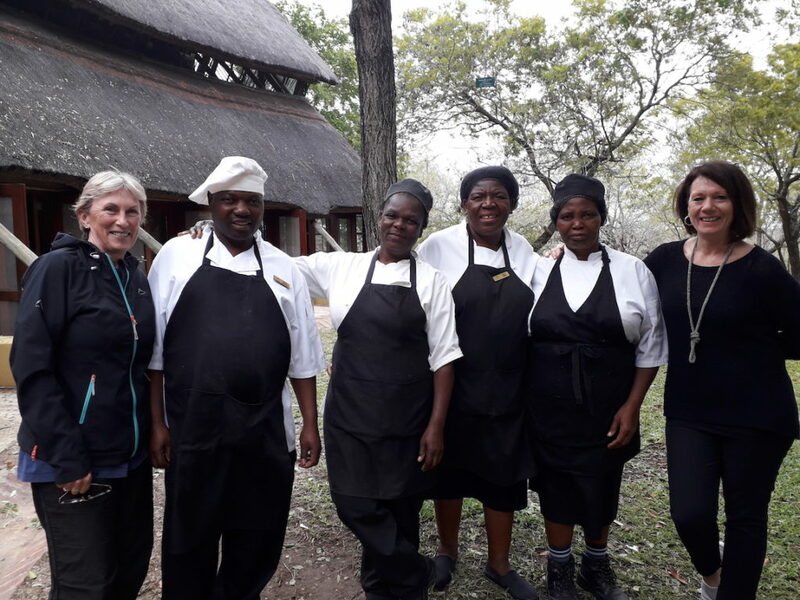 To hear about each of their trials, triumphs and dreams, before the lengthy two to four-day return trips home to their families and conservation workplaces across southern Africa. Our donors appreciated the extensive Phase II and eco-friendly developments, and interacted with the staff and students to gain insight to the challenges and threats being faced by conservationists across the region. 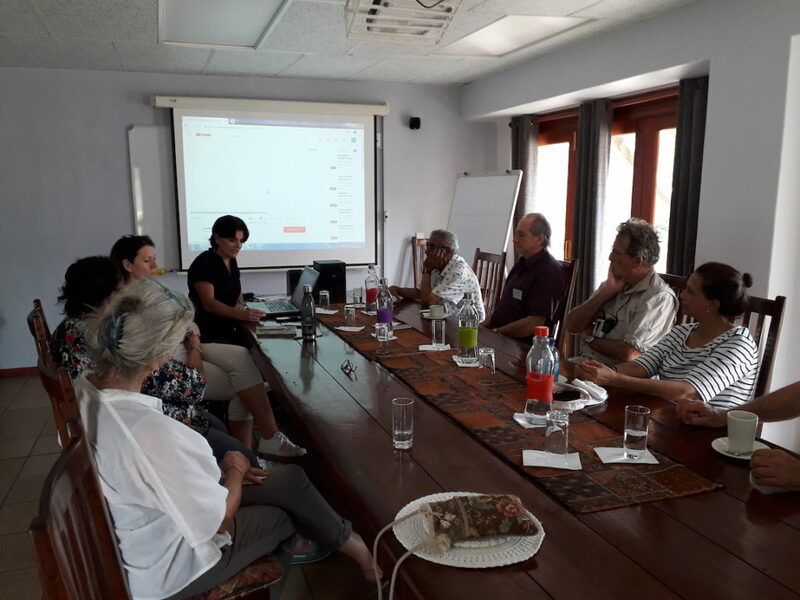 This included a tour of the field ranger training base, exposure to the anti-poaching canine training unit, informative early morning game drives, as well as a presentation by the College’s CEO, Theresa Sowry, in which the College’s theme of ‘Training beyond boundaries’ was highlighted – which resonates too for the Trust, it supporting education in nature conservation at the College in perpetuity! 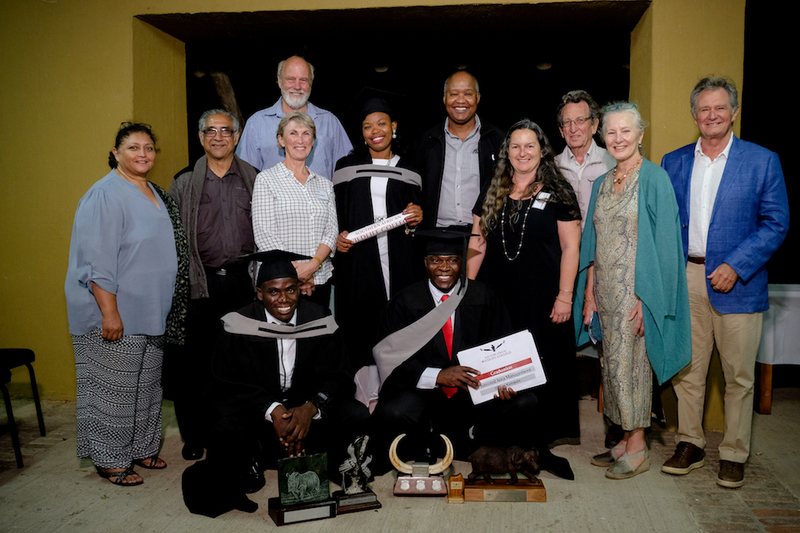 We’d like to share from the excellent speech made at the graduation by one of the top students sponsored by the Trust, the SRC president, 39 year-old George Kamuzhu Phiri, from the Zambian Carnivore Programme in South Luangwa National Park. What is noteworthy is that prior to completing his Higher Certificate in Nature Conservation at the College in 2017, Phiri was a piece-worker in Zambia for many years, having matriculated in 2000, and almost close to giving up on his dream of having a career. 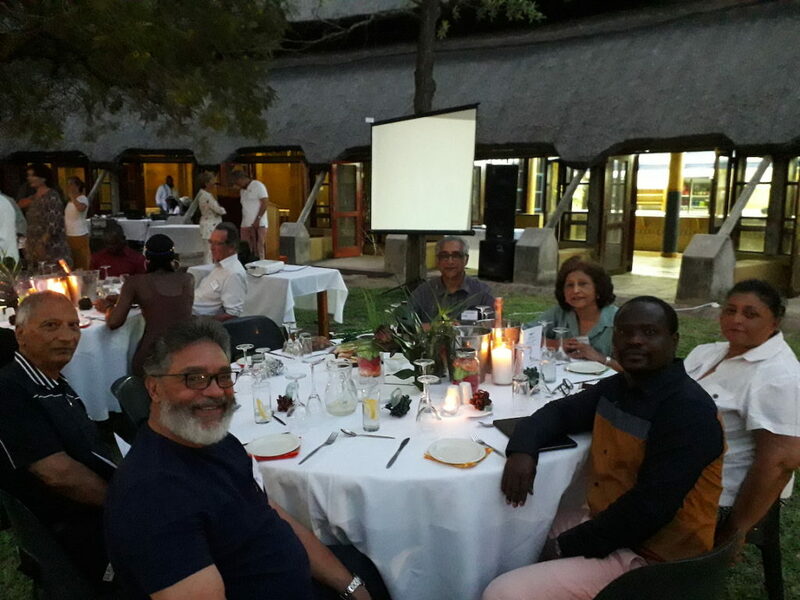 “I am of the opinion that Conservation can and will only succeed if we build learning institutions, organizations and networks throughout Africa, where conservationists can network, build relationships, and update their skills. One of the few existing institutions where this is all made possible, is the Southern African Wildlife College. The College really lives up to its new vision and slogan, which is ‘Training beyond boundaries’ as it has students coming from all over Africa, America, Asia, Europe – from countries too numerous to mention. Being a student at this college is a unique opportunity, one of its kind. The diverse cultural differences provide an opportunity for students to learn, love and respect other people’s cultures, which is an integral skill since some of our protected areas (parks) are bordered by two, even three countries. It is logical that if we soon-to-be managers of these parks study at the same institution, this will enable us to share the same ideology and skills on managing our natural resources in these transboundary parks. 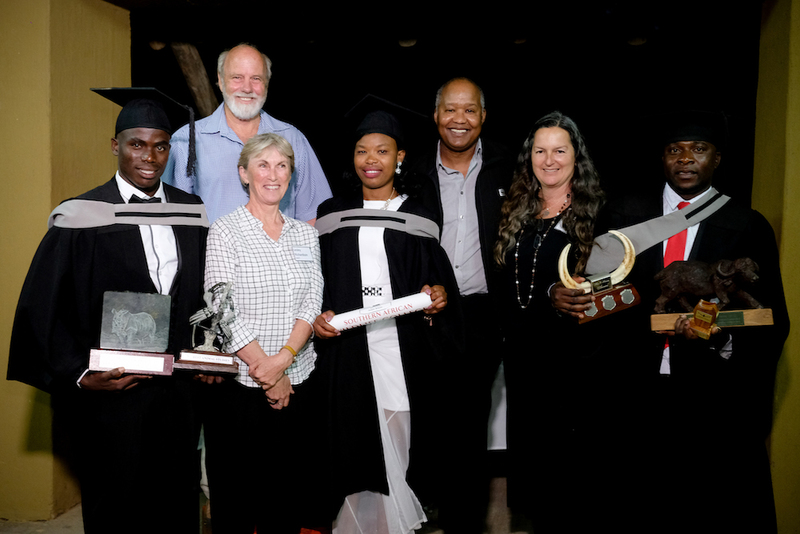 Phiri went on to encourage the graduates saying “You are all destined for greatness, each and every one of you has the potential to change the face of conservation in a positive way. You are all powerful and intellectual individuals who will make a massive impact on this earth. While the idea of material success and getting huge salaries does influence our lives heavily, I ask that you follow your dreams to be one of the future celebrated conservationists. Money and urban lifestyles should not overshadow our core purpose and why we chose this career to be conservationists (mostly living in the bush and rural areas). Our parks have valuable resources. Let us all realize that our own parks are beautiful, and unique in their own right. Let us use the knowledge and skills we have acquired from this college to make the most of our parks. So as we part ways, equipped with priceless knowledge, we embark on a life to be shared with challenges and success. Our journey begins now. My fellow graduates, strive to be the best version of yourself, let’s leave a positive mark in the world of conservation. Be phenomenal or be forgotten, the choice is yours. Scholarship sponsored, 30 year-old Noble Mumbi, employed as a law enforcement officer in Lusaka National Park, Zambia Department of National Parks and Wildlife, is passionate to resume his duties on the 10th December in anti-poaching operations, and community awareness and training. Armed with the latest skills gained at the College, he believes promotion awaits him in the near future! In 2017 he was part of a team responsible for three arrests and the recovery of two rhino horns. 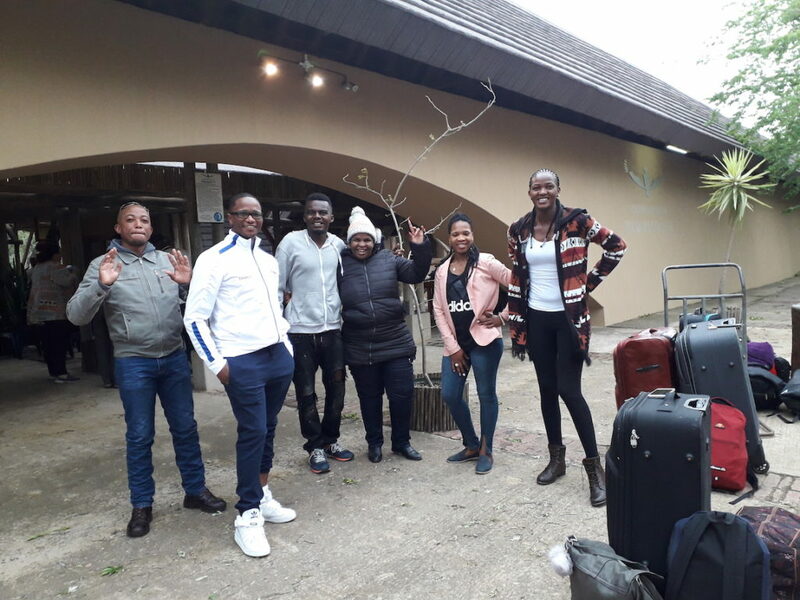 Trust bursary recipient, 42 year-old Tandiwe Buyeye, a field ranger from Eastern Cape Parks and Tourism Agency, completed her matric 21years ago in 1997, and witnessed the murder of her partner in conservation in an abalone poaching confrontation. Not having attended any formal education since, and never having worked on a computer, it was a bold step for her to register for the Higher Certificate course in Nature Conservation and Leadership Implementation that constitutes 16 modules. She initially struggled, and some days wondered if she would make the full year. But, all went well “because of the amazing team spirit and massive support I received from fellow students and lecturers, and my personal determination”, and in the end she not only completed the year, but passed well, and some modules with distinction. Setting up before the students and guests arrive. Boardroom presentation to Trust donors. Trustees, donors and new scholarship recipients. Lesley Richardson (left) & Jeanne Poultney pictured with some of the staff that have been with the College since the outset. 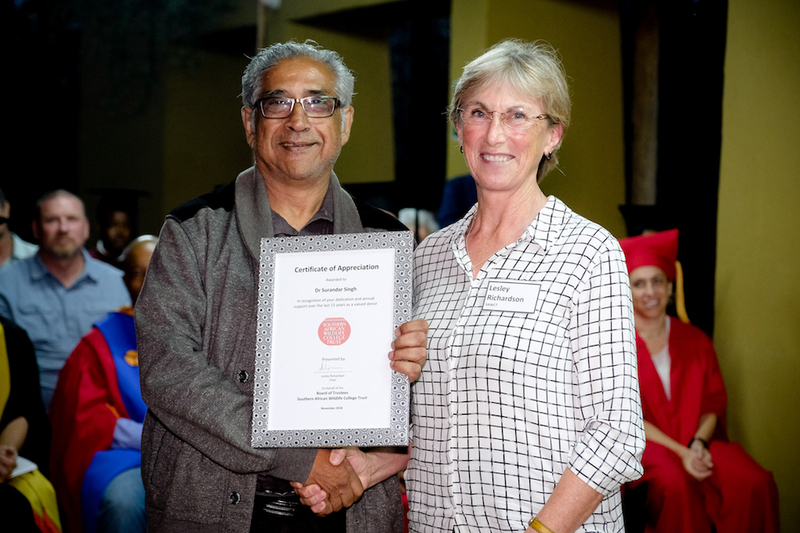 Certificate of Appreciation awarded in recognition of Dr Singh’s dedication and annual support over the last 15 years as a valued donor. Excited students heading for home. 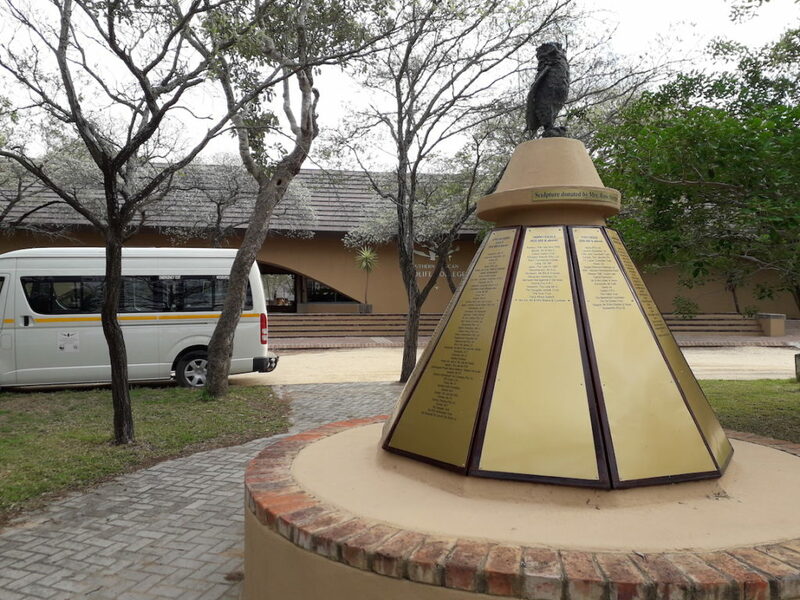 The SAWCT plinth at the entrance to the College. 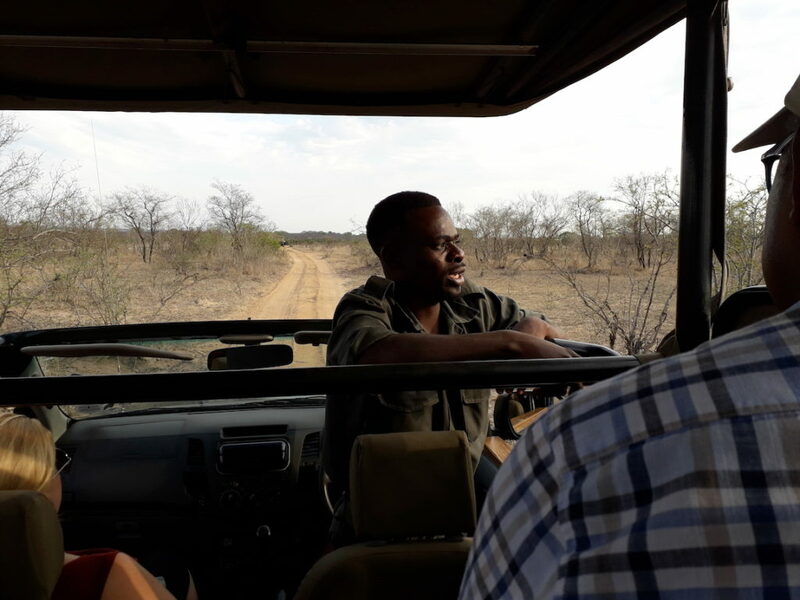 Tomas Ndhlovu, an environmental monitor and registered guide at the SAWC, regales SAWCT donors and guests with some interesting stories whilst out on a game drive. To confront the colossal changes in our natural world, people everywhere must take part. We are committed to our work, of nurturing and strengthening nature and wildlife conservation leadership for today and tomorrow. Investing in conservation in perpetuity via the Trust, provides future generations with the opportunity to enjoy our beautiful natural heritage. A living legacy well worth considering! at SAWCTfundraiser@sawc.org.za or call on 082 924 3749.